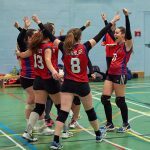 Ashcombe Volleyball Club, based in Dorking, Surrey, was established in 1976 by Ashcombe School P.E. Teacher, Freda Bussey. 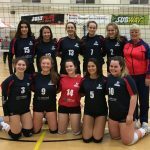 The club has become one of the most prominent volleyball clubs in England and is recognised both on and off the court as an outstanding club. Our club truly does offer volleyball for all. We organise tournaments throughout the year for players of every standard as well as running teams in various local and national leagues. Our flagship team play in the National Volleyball League Women’s Division 2 and our developing players in Division 3. Our junior teams play in the Under 15,16 and 18 National Championships and regularly reach the Last 8 Championships. On top of this, we have an excellent professional development programme and regularly run courses for coaches and referees which are open to both members and non-members.